nolimitsinhim wrote: finally made it through the entire thread , now to post an older pic of my collection, I’ve added a few since then but don’t have a full pic yet. 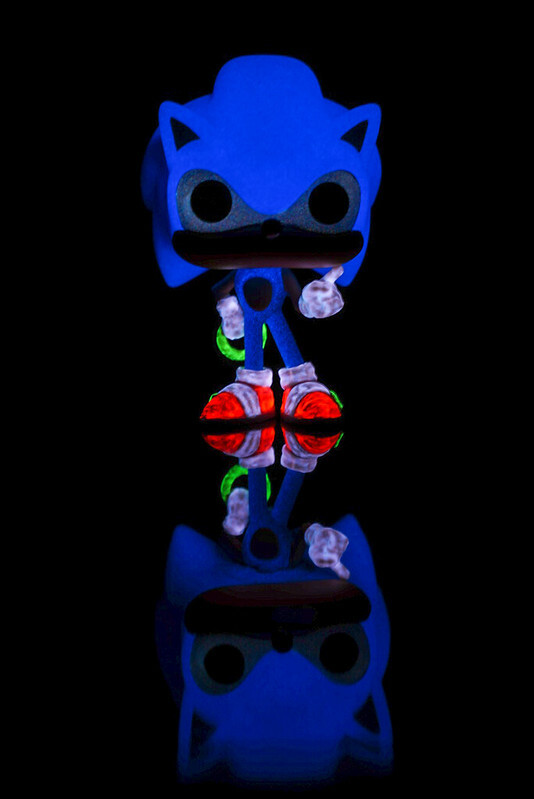 So I repainted the Sonic with a little more glow in dark paint on his hands feet and the ring I think it came out pretty good. I remember how mad I was and everybody else was as well as the emperor didn't glow in dark on Commander Cody so little bit of paint and fix that. So I finally got the killmonger from Target. The T-shirt black panther was actually pretty easy to find. So I set up this little photo shoot with some battery pack LEDs strips. Good tip is to get them after Halloween and Christmas cause they're always like a buck and in bid at most stores. I'm really happy the way that it turned out though. Njtree_82 wrote: So I finally got the killmonger from Target. The T-shirt black panther was actually pretty easy to find. 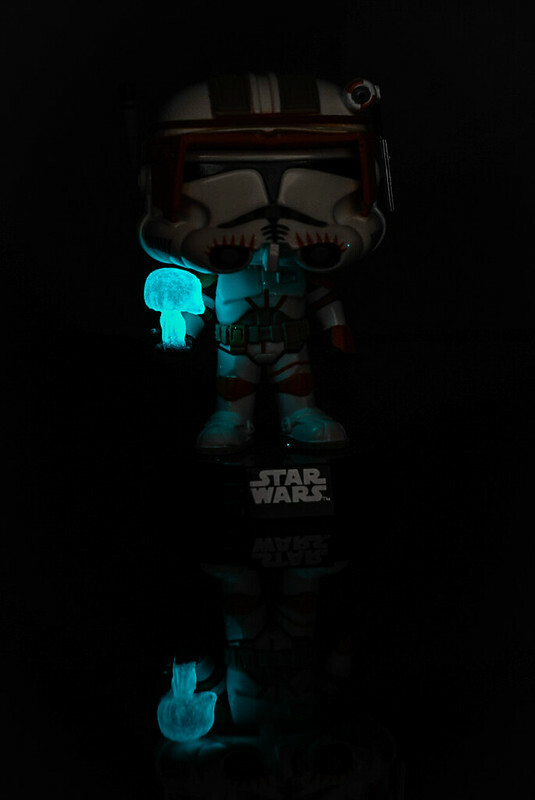 So I set up this little photo shoot with some battery pack LEDs strips. Good tip is to get them after Halloween and Christmas cause they're always like a buck and in bid at most stores. Very nice shot, love the cpntrast between the 2! I don't think I've ever actually seen her glow. It's beautiful. she really is... i love her. I have to admit that I’m a huge fan of Cat’s glow. 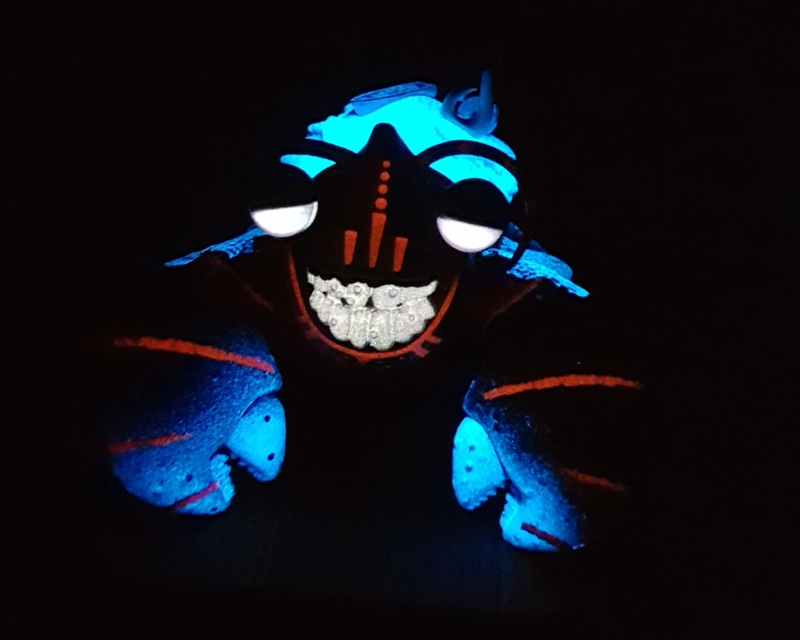 I’m sure this one has to be mentioned already but Oogie Boogie sdcc is a fantastic glow. Prob one of my favorites. Wow, it turned out great. Love it! 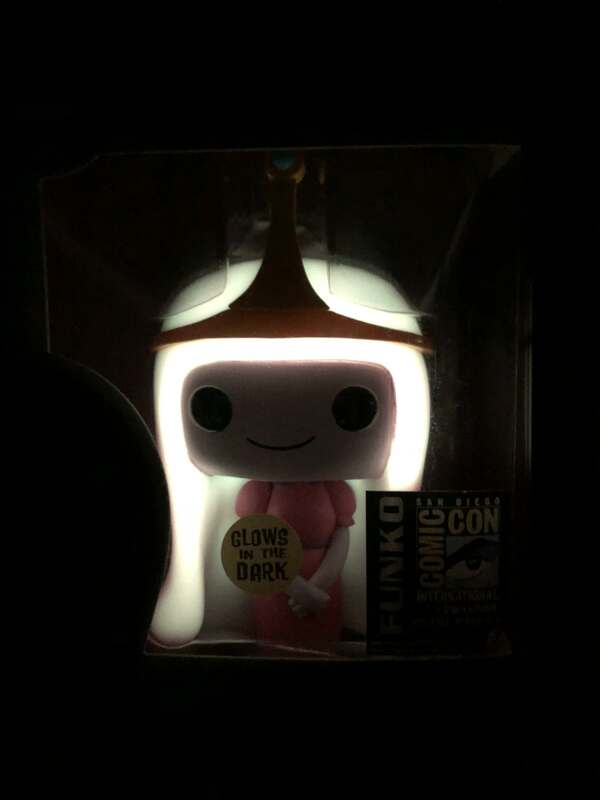 datfunkojawn wrote: I’m sure this one has to be mentioned already but Oogie Boogie sdcc is a fantastic glow. Prob one of my favorites. The only "glow" is a chase of 8-bit Raiden from Mortal Kombat, and it doesn't even glow. 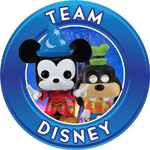 Cross posting, but I heard a rumor that some of the new nearly headless nicks had gid heads (these are the regulars, not the sdcc). So I went to hot topic with my LED flashlight and left with this! 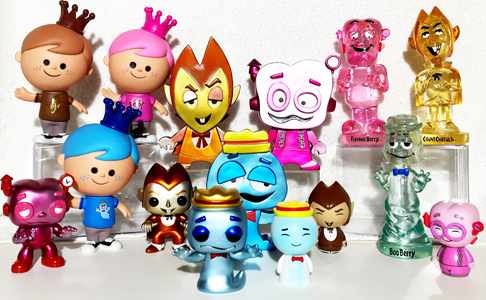 grandpa_stern wrote: Cross posting, but I heard a rumor that some of the new nearly headless nicks had gid heads (these are the regulars, not the sdcc). So I went to hot topic with my LED flashlight and left with this! Saw the same thing. Sounds like what happened with the Moon Knight from LA comic con. There were regulars noted to have glowing heads as well. If you practice good fun-karma, good things will happen to you. The HT girl asked me if I was there for a pop. I said headless nick but with a catch and she immediately said, "You mean the glow?" So it seemed like she knew there was a chance. They actually didn't bat an eye, . I told them at least I wasn't one of the scale dudes. Ohhhhh I had no idea about this. Thanks for the tip!! Did not know about this and it looks totally cool! Bringing my torch with me for the local release! Glad to help my glow freaks brother and sisters. Yeah, it's hard to tell in a bright room, but the glow ones almost look cloudy and spotty (lots of white spots in the plastic). I had to hold it a while, but when I took it away, it held a deep blue. Good luck guys! It seems like a lot of people didn't know about this so you may have a leg up! A little glow for a dark and gloomy day! Pop-Fiction wrote: A little glow for a dark and gloomy day! Oooh! 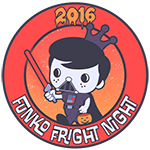 Bumble Freddy looks awesome!! Thank you! The glow on him is so strong its incredible. They don't make them like they used to! Always enjoy starring at the glow pics!! 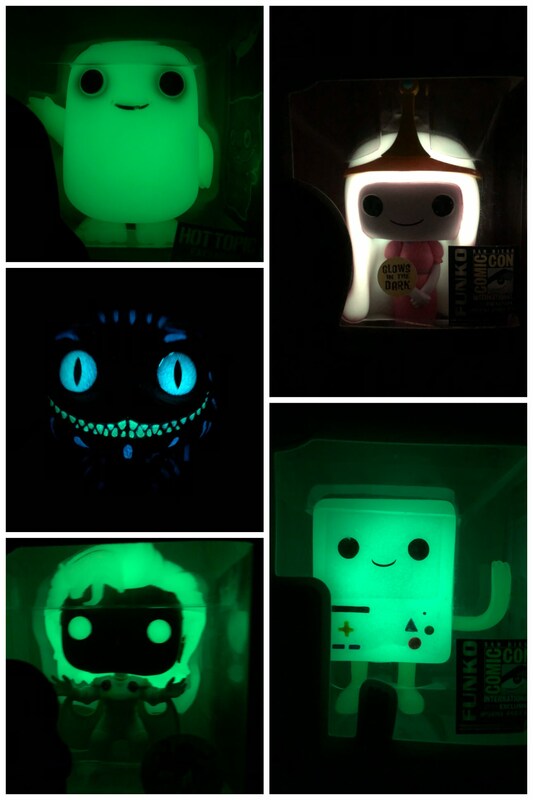 Everything is better when it glows!! 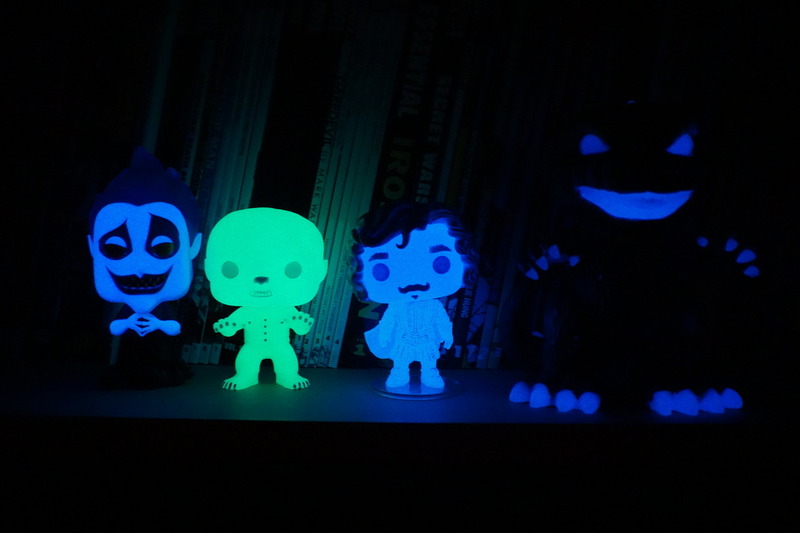 My two favorites right now is GITD White Walker and GITD SDCC Billy. 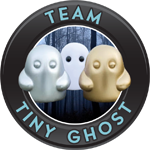 They are freaking awesome! I think this SDCC gave us a gem. 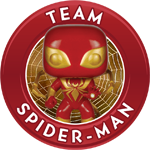 KidMarvel wrote: I think this SDCC gave us a gem. 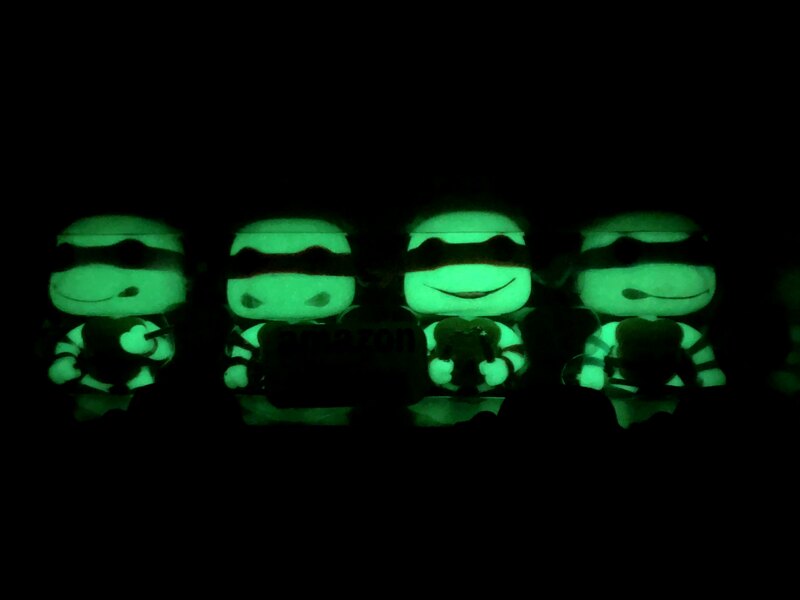 You were first person I seen take a glow picture of this pop.seems everyone that got them yesterday just put them on eBay. 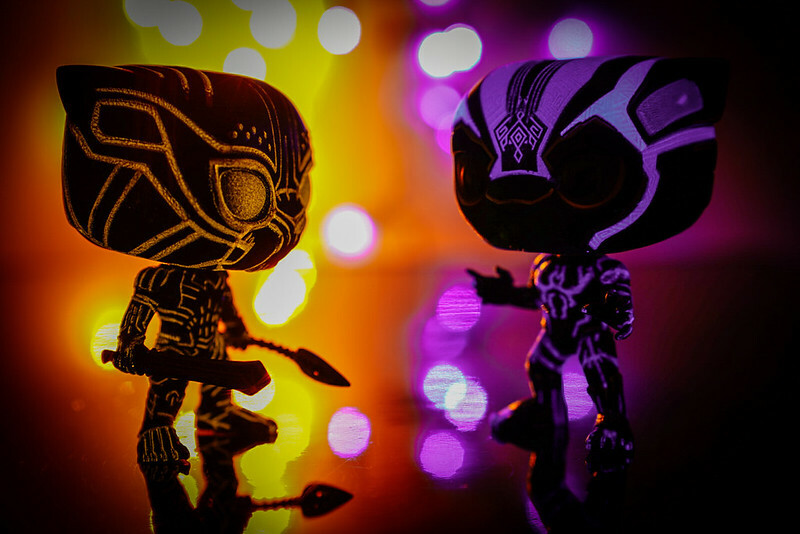 Oh wells, I can't resist having a look at how the figures glow (inspired by some of the posts in this thread) Hope everyone who likes this guy manages to get him! This is just salt in the wound. I hope BoxLunch restocks for your sake bud. 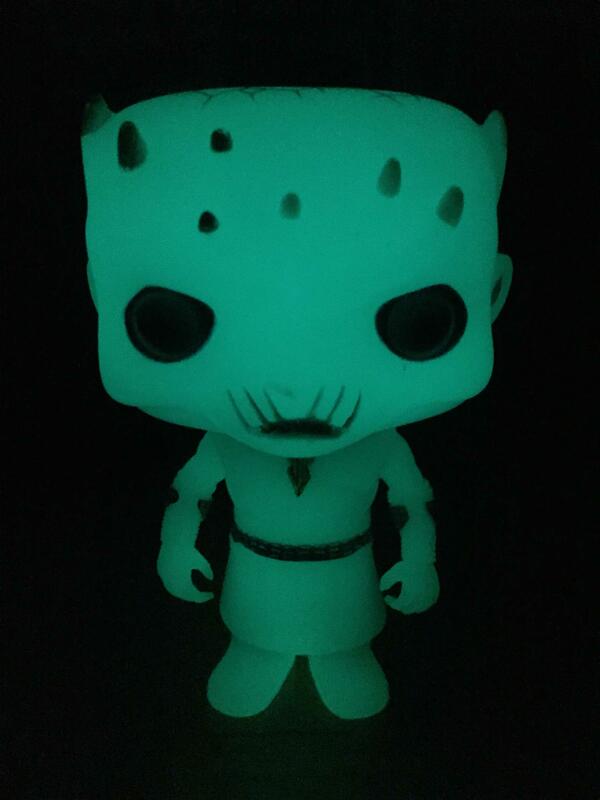 Just got the Night's King today and boy does he have an excellent glow! 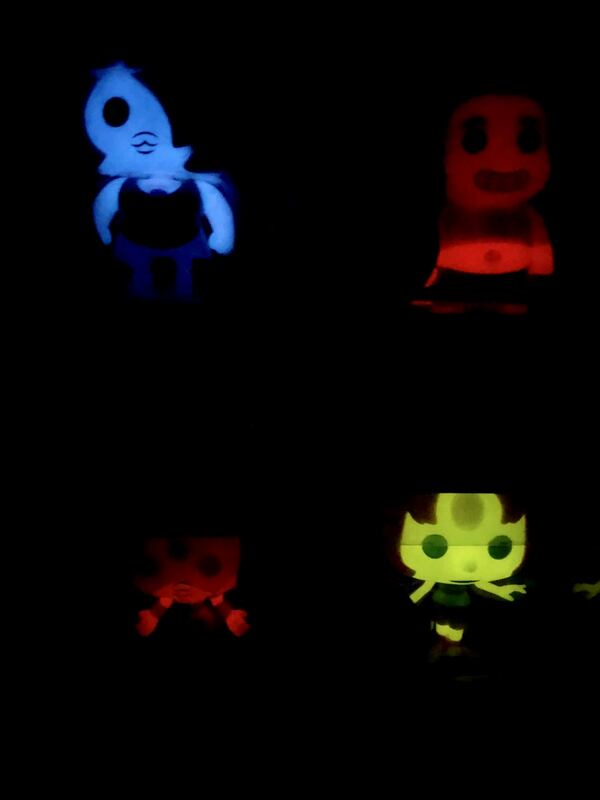 Mine has the two color glow variant/error. The head is blue and the body is green. 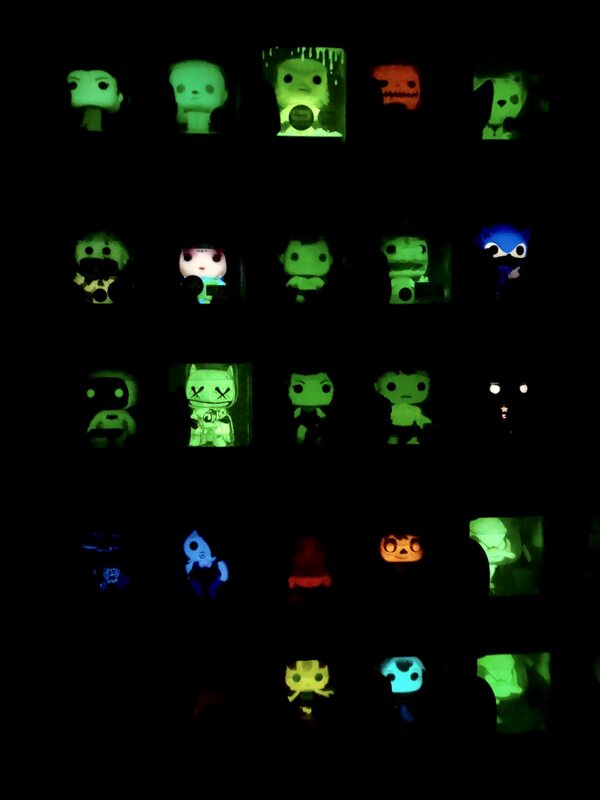 Since getting my blacklight, I am absolutely in love with gitd pops. I think I just need a better light, cause I cant get a glow like some of these pictures. Wow, no Photoshop? I absolutely love this! We’re the LED lights colored or did you add a gel over them? Man, Nearly-Headless Nick has one incredible glow. Not as strong as Wolf Man, but it looks the absolute best.